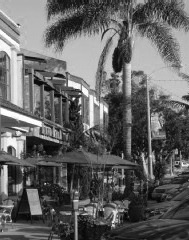 Riviera Village is a several-square-block area in Redondo Beach, with the feel of a laid-back coastal resort town. The streets are perfect for strolling, browsing, gallery-hopping or people watching from a coffee shop or a cafe. Traffic is nonexistent, and parking is easy. Nestled between a European-style bakery/flowery shop and a truly fabulous boutique, Salon Riviera enjoys the perfect location at the center of it all. Our product choices are simple: we use what works best for your hair. Basically, that means we use the amazing Bumble and Bumble and Unite lines, which continue to offer the most effective, and advanced hair products on the market, using safe ingredients and sustainable manufacturing practices. So you can maintain your salon look at home, we offer these products for sale at the salon, and through our online store.